Mesmerizing Benthid ($0.57) Price History from major stores - Ravnica Allegiance - MTGPrice.com Values for Ebay, Amazon and hobby stores! 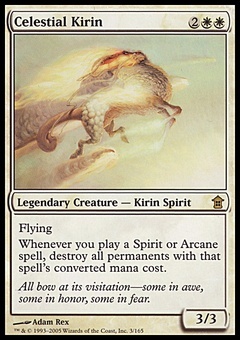 Card Text: When Mesmerizing Benthid enters the battlefield, create two 0/2 blue Illusion creature tokens with "Whenever this creature blocks a creature, that creature doesn't untap during its controller's next untap step." 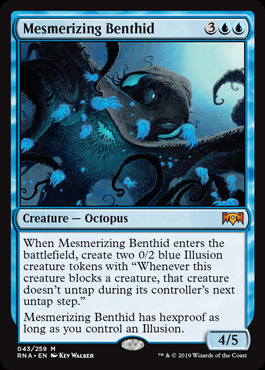 Mesmerizing Benthid has hexproof as long as you control an Illusion.